Here you can browse through all past KSOP News. Congratulations to KSOP alumni Tobias Harter and Sandeep Ummethala along with KSOP Professors Freude & Koos on their work that was recently published in Nature Photonics! The article was also honored by a News & Views Article! Congratulations to KSOP Spin-off Nanoscribe for establishing a subsidiary in Shanghai, China - "Nanoscribe China Co. Ltd."! KSOP will be holding a webinar for India on September 13th at 11:30 CET (15:00 IST). Join us and find out about our programs! Researchers at the Karlsruhe Institute of Technology (KIT) - KSOP have now developed 3-D inks that can be selectively erased. This makes it possible to deliberately break down and rebuild highly precise structures on the micro- and nanoscale. Congratulations to the 2018 KIT-Neuland prize winners! KSOP Professors and PhD students were among the winners for their projects; Prof. Dr. Stefan Bräse, Jasmin Busch, Fabian Hudemer, Eduard Spuling, and Prof. Dr. Jan Korvink. Two KSOP scientists are featured in the latest edition of Sonderpublikation "Frauen in der Photonik." "If the development continues, you will be able to print your own smartphone in twenty years' time." Read the article here. Prof. rer. nat. habil. 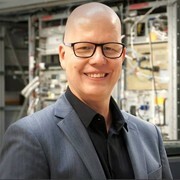 Marc Eichhorn is the new Head of the Department "Photonics and Optronic Systems" at the Ettlingen site of the Fraunhofer Institute for Optronics, System Technology and Image Evaluation IOSB. 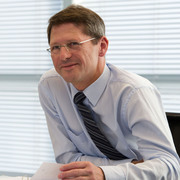 At the KIT, Eichhorn holds the newly founded Chair of Optronics. At Fraunhofer IOSB, he will set up a department for laser technologies. Prof. Wagenknecht wins the Faculty Teaching Award! 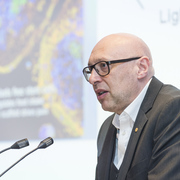 At the annual celebration at the end of April in the Garden Hall, Professor Dr. Hans-Achim Wagenknecht, KSOP Professor, was awarded the Faculty Teaching Prize 2018. ZEISS held a ceremony on the north campus of the Karlsruhe Institute of Technology (KIT) to launch the construction of a new site in Germany. This will be a shared innovation building for KIT and its carve-out Nanoscribe – the ZEISS Innovation Hub @ KIT. Congratulations to our ZEISS Scholarship recipients! Our Premium Partner ZEISS gave three KSOP master students a scholarship that provides financial aid, individual consulting, career coaching, access to ZEISS career network and events! Solar cells with efficiencies of over 20 percent with cost-effective production - Perovskites make it possible. 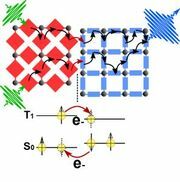 KSOP member Fabian Ruf and his team have gained fundamental insights into the function of perovskite solar cells. They report on their workin the journal Applied Physics Letters. Read more on their work here! Register today for the KSOP Summer School! During this three day program, participants will hear from leading experts in the O&P fields, network with students, doctoral researchers and young scientists from other universities and institutes. The Institute of Nanotechnology, the Innovation- and Relations-Management at the KIT as well as Nanoscribe are distinguished by the German Physical Society (DPG) for their successful transfer of scientific research into commercial products. KSOP Prof. Martin Wegener (Institute of Nanotechnology) helped with developing the technology. We will be holding another informational webinar about our Master's Program on April 3rd at 4:00 pm (CET) . Participants can have their questions answered, learn about the application process and student life in Karlsruhe. KSOP Prof. Nienhaus and his team reveal the role of vesicle transport in polar growth of fungal cells with superresolution and pulse-chase imaging. Prof. Johannes Orphal received the Gay Lussac Humboldt Prize from the Paris Académie of the Sciences. Congratulations! 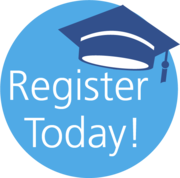 MSc Graduation Ceremony Registration is Now Open! The 2018 KSOP MSc Graduation Ceremony, sponsored by ZEISS, is now open for registration! Register today! We are proud to announce that our premium partner ZEISS is now offering an exclusive scholarship for KSOP students. Scholarship holders will not only receive financial support but also individual consulting, career coaching and access to the ZEISS career network and exclusive events. 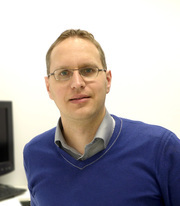 The European Research Council (ERC) has awarded Prof. Christian Koos Consolidator Grants to fund his project in Photonic and Electronic Methods to Generate Terahertz Signals and make them usable for Data Transmission and Measurement Technology. Congratulations! Congratulations to KSOP PhD student Tobias Frenzel and KSOP Professor Martin Wegener on being featured on the front page of Science! On November 7-8, 2017, KSOP had their bi-annual international symposium, the Karlsruhe Days of Optics & Photonics (KDOP). Here are pictures from the event. KSOP Prof. Wegener and his group developed 3D fluorescence-based security features manufactured by multistep 3D optical laser lithography. This innovative technique increases the protection against forgery of e.g. passports or money. Be one step ahead and get our KDOP Conference App! You can find useful information about speakers, location, the agenda and more! Click here for download information! Congratulations KSOP Alumni Radwanul Hasan Siddique! KSOP Alumni Radwanul Hasan Siddique's PhD article was published on the online journal Science Advances! His PhD relates to electrical engineering in regards to optics and butterflies. Find out more about his achievements here! Our industry partner ZEISS has teamed up with KIT to build a new innovation building at KIT Campus North. 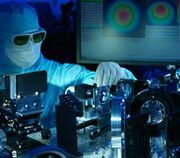 The "ZEISS Innovation Hub," will be a globally operating company for the optical and optoelectronic industry. KSOP has a new Principal Investigator (PI), Prof. David Hunger. Congratulations! You can meet Prof. Hunger at the Karlsruhe Days of Optics and Photonics (KDOP), where he will be presenting a speech. Together with four research organizations and seven universities, KSOP will contribute to the Max Planck School of Photonics. This schools joins the forces of the different pillars of the German Science systems and will offer exceptional possibilities for graduate research for talents from all over the world. Prof. Kappes was awarded a membership of the Berlin-Badenburg Academy of Sciences and Humanities! Find out more about his award here! Nico Bolse from the group of Prof. Uli Lemmer won the Best Student Paper Award during the SPIE Optics+Optoelectronics 2017 conference for his paper on Discrimination of trace nitroaromatics using linear discriminant analysis on aerosol jet printed fluorescent sensor arrays. To read to award winning paper, click here! The research team from Prof. Koos, has found what is needed to significantly increase the wavelength division multiplexing (WDM) techniques; Microresonator soliton frequency combs. From May 15 - 17 KSOP will host the "Tailored Disorder" SPP 1839 Spring School. It covers the hot topic of disordered photonic structures. Barcelona in Spain will be visiting KSOP. He will speak about and discuss light interaction with three-level systems. Prof. Nienhaus and his group have developed a new fluorescence microscopy method: STEDD. This method produces images of highest resolution with suppressed background. We want to introduce our newest premium partner Edmund Optics, a leading global producer of optics, imaging, and photonics technology. The KSOP PhD Seminar is taking place on March 14! The seminars help to foster the exchange of knowledge among our doctoral researchers. Read more about the speakers and their topics here! Thanks to a new agreement KSOP students can do their 3rd semester in Marseille or Barcelona or write their Master's thesis at Ghent University. 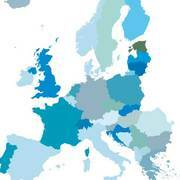 Do you want to study in three different European countries? Apply till March 2nd for the Erasmus Mundus EUROPHOTONICS M.Sc. Program! The international society for optics and photonics (SPIE) offers scholarships to SPIE student members located anywhere in the world. On December 7, 2016 we celebrated KSOP’s anniversary with keynote speaker Prof. Stefan W. Hell. 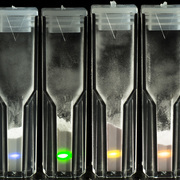 Nanophotonics experts of KSOP, in cooperation with Polysecure GmbH, developed various types of photonic markers with unique luminescent properties, minimum environmental risk, and excellent stability. 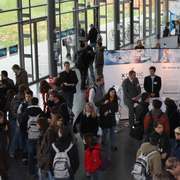 On November 7 - 8 the Karlsruhe Days of Optics & Photonics will take place! We are looking forward to your participation! Jun. Prof. Dr. Amitabh Banerji's hold a Science Slam at KSOP´s 10th anniversary on how to construct an OLED in ten minutes. Over 40 students of the Master intake 2016 have arrived. Welcome to all of you and fingers crossed for those who are still waiting for their visa! The Institute of Microstructure Technology, where a lot of KSOP research is done, has developed a new procedure that allows the 3D-printing of complex forms of glass. Prof. Dr. Jan G. Korvink, Head of the Institute of Microstructure Technology, is part of KSOP since September. Welcome! KSOP Student Aleksandar Nesic received ADVA Best Student Paper Award for his paper "Hybrid 2D/3D Photonic Integration for Non-Planar Circuit Topologies" at the European Conference on Optical Communications (ECOC). Congratulations! KSOP Professors Martin Bastmeyer and Martin Wegener were awarded with the Erwin-Schrödinger-Prize for their work on "3D printing functionalized microstructures". Congratulations! KIT listed amongst Top 100 Universities worldwide! In the QS World University Ranking KIT achieved very good results. 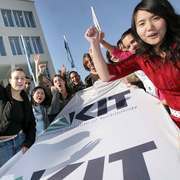 Amongst German universities KIT came in at fourth place. 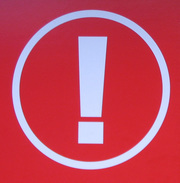 The registration for the German Language Courses is online once again. You can find the registration by pressing the link below. KIT and KSOP researchers open up new possibilities for Solar Cells and LEDs with their piggyback-structured Metal-Organic Frameworks. From now on, all applications for the KSOP PhD Program will be processed through our brand new tailored application portal. Karlsruhe will become a test field for networked and automated driving. 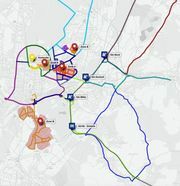 Under the direction of the FZI, vehicles are to be tested and developed in real traffic throughout Karlsruhe, Bruchsal and Heilbronn. KIT researchers increase efficiency of solar cells by mimicking the structure of petals. The specific surface area improves light harvesting and thus generates more power. Nanoscribe takes 3D printing technology to a new level, producing parts with features at a micro level. Gartner´s Report puts Nanoscribe under the Top 5 pioneering "Cool Vendors in 3D Printing 2016". Together with the industry association SPECTARIS KSOP organized a trip for master & PhD students of KSOP to Optatec. There, they got the chance to network with companies & learn about their career opportunities. On June 25, there is a special career event coming up at KIT - Asian Talents meet Global Players. 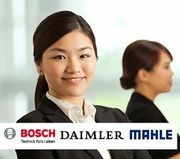 Bosch, Daimler and MAHLE will visit the KIT to discuss possible career paths with you! The Berliner Glas Group, one of our industry partners, has successfully launched the first element of the European Data Relay System into orbit. When finished, the system will provide near real time data communication. KSOP is one of two courses which was accredited by the KIT-PLUS Commission without any stipulations, and scores a lecture quality index of 99.78/100. KSOP Career Fair - Save the date! On November 30th you have the chance to get to know companies from the optics & photonics industry in the Hector Auditorium. Together with four research organizations and seven universities, KSOP will contribute to the Max Planck School of Photonics. These schools join the forces of the different pillars of the German Science systems and will offer exceptional possibilities for graduate research for talents from all over the world. Click here to see the video interviews! Shalom Isaac and Prof. Neumann were awarded for paper on LED flashlight capable of two different light distributions. Register for the DAAD Webinar for prospective students from China: "Study Optics & Photonics in Germany" on 14th of April starting at 10:00 AM. The presentation will be in Chinese. Why did the KSOP Alumnus decide to work for TRUMPF after graduation and how did he get there? After ten years at Zeiss, Prof. Nahm will not only be professor at KIT but also KSOP member from April on. According to Thomson Reuters the KSOP Professor Martin Wegener is among the researchers who published the greatest number of articles ranking among the top one percent by citations received in his field. Learn how to develop potential business ideas, based on technology and research findings. Which skills are needed to start and run an own business? Cooperation between KSOP Alumna Bergmann, Baumann and Prof. Braese brought interesting findings. 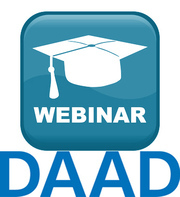 Register for DAAD Webinar Series: "Afraid of the dark? Study Optics & Photonics in Germany"! on Feb 1, 2016 12:00 PM EST. Watch the video from our OSKar students! Applications for the next edition of the Master program are open. Explore the dynamics of Maxwell's equations and perform a multitude of wave optics experiments on your phone or tablet with the new app by KSOP alumnus Dr. Mauno Schelb. The Ministry of Science, Research, and the Arts grants EUR 100,000 to the winners of the Ph.D. Quality Assurance competition. KSOP continues to take measures to achieve gender equality by supporting the KIT childcare institution KiBu e.V. Professor Lemmer has been appointed to represent researchers in Germany on the DFG's review board for subject area Electronic Semiconductors, Components, Circuits and Systems. You can find the related press release here. The KSOP PhD candidate Patrik Rath was asked for a review paper in the Physica Status Solidi (a). The title is “Diamond as a material for monolithically integrated optical and optomechanical devices”. Dear Students, we like to invite you to our new courses. Register here and improve your German skills. We welcome the new KSOP master students. Here you find all important dates for the next weeks. On October 23rd, we will welcome our new PhD students at the Light Technology Institute. This winter term a new course will be offered. Prof. Dr. Kaschke, the CEO of Carl Zeiss, will hold an interesting lecture for motivated KSOP students. Have a look at the press release and the picture gallery of the KSOP graduation and the ID jubilee. The 2015 QS World University Ranking lists KIT in the top 100. Natural sciences and engineering are especially strong. In Germany, KIT confirmed its position with place 4. 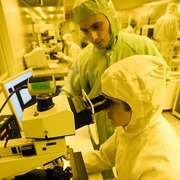 The KSOP PhD candidate Matthias Stegmaier and the Master graduate Carlos Ríos were involved in a Nature Photonics article on the first all-optical permanent on-chip memory. Get in direct contact with representatives from the optical industry on November 10th in Karlsruhe! At the ID Jubilee 15 years celebration on July 23 the KSOP video portrait had its world premiere. Did you hear about the collaboration between a KSOP mentor and a KSOP PhD student that led to a publication in a high-impact journal? Want to know the story behind all this? Due to the International Year of Light KSOP arranges a video contest! Dive into the world of O&P with international experts e.g. 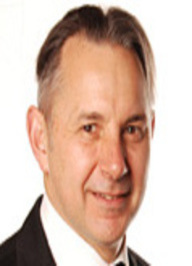 Prof. David Sampson (University of Western Australia) from November 24 – 25. The International Department of the KIT is celebrating its 15th jubilee on July 23, 2015. Don’t miss the deadline for registration on May 31. The event will impart a broad view of technical basis and how to utilise this knowledge in order to create innovations. It is taking place from July 27 - August 7, 2015. Prof. Dr. Uli Lemmer is the Coordinator and speaker of the KSOP. He explains the benefits to study or do research at KSOP in our YouTube channel. Dr. Ulrich Kilian opens the series of lectures on Thursday, April 30th 2015, with a talk on the subject of "The Meaning of Light in Physics, Technology and Culture". The talk will be held in German. The collaboration between a KSOP mentor and KSOP PhD student and the crossover between different topics led to a publication in a high-impact journal. 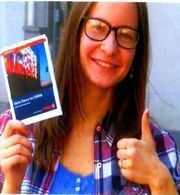 The registration for our German Courses is possible from now on until the 12th of April. Gloria Dörner, our German lecturer, teaches different courses of levels A1, A2 & B1. The paper of the KSOP PhD-Student and OSKar-member Patrik Rath got published and was chosen as cover in two journals. 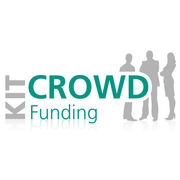 KITcrowd is a new platform for financing the realization of brilliant ideas from KIT students through crowdfunding starting on March 11. 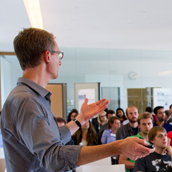 On June 26 - 28 the IONS International Student Conference will take place in Karlsruhe. Jürgen Hubbert was awarded as honorary citizen of the KIT. He is founding member of the International Department. Miriam Sonnenbichler, KSOP Master Program Manager, answers questions for prospects of the next intake on our Youtube Channel. The application deadline is May 15! The KSOP member Prof. Dr.-Ing. Koos receives the Baden-Württemberg science award for his achievements on faster and energy-efficient data transmission. The KSOP Career Fair on November 13 was a great success! Good luck to all applicants! Get an impression of Master and Doctoral students of KSOP in their interviews. We also talked to KSOP professors at the last KSOP Summer School. We like to welcome our new Master Students from over 20 countries, which are starting their studies in the upcoming winter term. The three Master students Lisa, Tuan Anh and Javier worked on their master thesis together with the Carl Zeiss and Polytec. KSOP offers students who have not spent more than 15 months in Germany DAAD scholarships for our PhD Program. The Nobel Prize in Physics was awarded in the field of optics for the invention of efficient blue light-emitting diodes! Every modern smartphone uses this light for its photo flash. If you are a registered member of the KIT Alumni Club you have the possibility to take part in some interesting events this fall. The registration for this year’s Summer school is now open. Meet leading experts in the field of Optics & Photonics! Prof. Stiller, speaker of the KSOP Research Area Optical Systems, talks about autonomous driving. KIT is one of three TU9 universities which assess programs on their own and have the right to approve of their execution. There's an article on the Karlsruhe School of Optics & Photonics in the recent release of the Campushunter magazine. What is international campus life at the Karlsruhe Institute of Technology like? A new KIT video answers exactly this question. KIT coordinates the "MatHero" project related to sustainable and low-cost production methods of organic solar cells. Applications are open until May 15th for the MSc program starting this fall. Don't miss your chance and apply now! Dr. Oliver Hampe was a staff scientist in the Institutes of Nanotechnology and Physical Chemistry. The deepest condolences to the family and friends of Dr. Oliver Hampe. OSKar is the association of Optics Students in Karlsruhe. Here, they give an insight into what studying at KSOP is like. The converter of electrical into optical signals is presented in the current issue of the Nature Photonics magazine. From June 10-14, the 115th Annual Meeting of the DGaO takes place in Karlsruhe, focusing on topics of micro- and nanophotonics to image and signal processing. Get in touch with Ocean Optics, Precitec & Schott on April 15th, 9am - 4pm. Discuss about working in Germany with the local employment agency. The program is a new offer for doctoral researchers of KSOP. You can work towards an MBA while still doing your research. With 21 participants, the PhD Spring School was a full success. If you're interested, look out for our next PhD School September 22nd to 26th ! Scientists at the University of Toronto made a break through in devoloping high efficient lights out of silicium-nanocrystals. 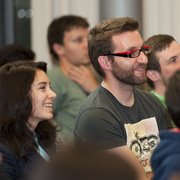 OSKar is the abbreviation for "Optic Students Karlsruhe" and is composed of students and postgraduates who share a common interest in optics & photonics. 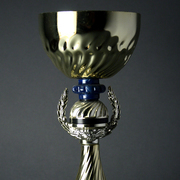 The KSOP Spin-Off Nanoscribe has won the "Prism Award 2014". The renowned annual prize rewards innovations in optics. 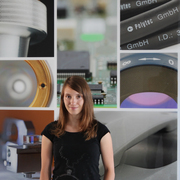 Visit the Karlsruhe School of Optics and Photonics on our Open Day on March 27th. You can get information on the Master Program and talk to KSOP representatives as well as current students. PhD Spring School Learn how to develop potential business ideas, based on technology and research findings and to train the skills which are needed to start and run an own business sustainably! Season’s greetings and best wishes for the new year! May 2014 be filled with prosperity, joy, and success. Congratulations! The KSOP PhD Student Patrik Rath receives the "Doktorandenstipendium der Deutsche Telekom Stiftung". The Helmholtz Day of Teratronics provides you with top-notch speeches from renowned scientists in the field of teratronics. Additionally, the HIRST PhD students will present their projects. Around Europe at almost the Speed of Light? Get to know all about your chances with the Erasmus Mundus Europhotonics Master Program. KSOP scientists at ZSW had a breakthrough in their search for more advantageous materials and processes in the manufacture of efficient thin-film solar cells. One of our industry partners, Polytec, has written in article about the KSOP in their magazin on optical measuring systems. Presentation Award Carlos Rios Congratulations! Master student Carlos Rios Ocampo received the "Outstanding presentation award" at the EPCOS 2013 conference! As a part of OSA’s travelling lecturer program, OSKar is delighted to invite everyone to a talk on ‘Photonic devices in motion’ by Prof. Mo Li from the University of Minnesota. The talk is scheduled to take place in Grasof-Hörsaal on 12th November starting from 18:00 hrs. 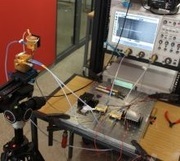 KSOP researchers present a method for wireless data transmission at a world-record rate of 100 gigabits per second in the current issue of Nature Photonics. The KSOP PhD student Aleksandar Nesic won the second prize with his poster "Highly Efficient Silicon-Organic Hybrid Phase Shifters for Reconfigurable Ultra-Fast Signal Processing" at this year's Workshop iNOW. Industry Contact Fair "Optical Technologies"
Get in direct contact with representatives from the optical industry on November 7th in Karlsruhe! Have a look at the photos of the presentation at science festival "Effects" in Karlsruhe. 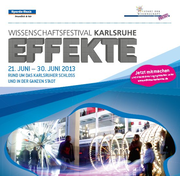 KSOP meets ZEISS and KSOP at the Science festival "Effects" are two of the topics in our Newsletter for July. Read the interview with Ifte on his studies at the Karlsruhe School of Optics & Photonics. Get to know all about your chances with a MSc Program at the KSOP. Philipp Brenner, who studies in the Masterprogram at KSOP, was featured in the KIT Newsletter (pg. 13). Meet the optics companies OSRAM and PRECITEC! Talk about offers for internships, master thesis and jobs! 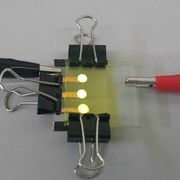 KSOP PhD student Florian Maier-Flaig and scientists of the University of Toronto, have now succeeded in manufacturing silicon-based light-emitting diodes (SiLEDs), which are free of metal and can emit light in different colors. You can still register for the next Spring School in the scope of the Erasmus Mundus Program, which takes place from April 08-10, 2013 in Hohenwart Forum, Germany! In a collaboration between University College London and the KIT, KSOP PhD student Rene Schmogrow was awarded the 2nd price at the ECOC conference for his paper. 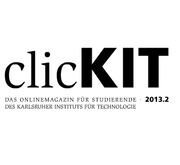 The KIT Focus "Optics & Photonics" presented itself to around 200 intersted citizens in the city hall of Karlsruhe on Janury 23, 2013. Inform yourself about open job positions, internships and master thesis. Meet ten companies from the Optical Industry in Germany on Nov. 14 in Audimax. 44 students from 16 different countries have started the KSOP MSc Program in WS 2012/2013. Mr. Malik Shehryar Ashraf, a second year master student, passed away on Saturday, Sep. 8th, 2012. During the commemoration ceremony on Monday evening many friends, students and employees of the KIT paid their last respects. The deepest condolences to the family and friends of Mr. Malik Shehryar Ashraf. On September 20, 2012 KSOP presents itself at the UK's largest career fair in London. Visit our booth there! Download the new KSOP Brochure! Jubilation at the KSOP: The first graduate school of the KIT defended its excellence status awarded by the DFG. The DGaO awarded the Young Talent Prize for the best PhD and the best Master Thesis in the field of applied optics. OSKar is officially accepted as a SPIE student chapter. Have a look! KSOP professors, PhD students and OSKar members visited FEMTO-ST in Besançon, France on April 10th for a joint workshop. In order to bridge the gap between the internship applicants of KSOP and the industry, OSKar organizes the contact fair “Internship Icebreaker”on April 26, 2012. The university community for lighting technology awarded a prize to KSOP PhD Alumnus Boris Riedel as well as to KSOP Master students Claudia Hößbacher and Julian Kurz. The registration for the next IONS meeting – a social and educational event hosted by OSKar is now open. 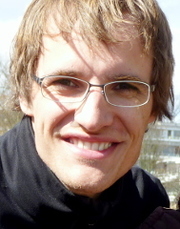 KSOP Alumnus Dr. Michael Thiel is one of the winner of the KIT PhD Award 2011. Interview with KSOP mentor T. Mappes and KSOP student G. Medeiros on the Master Program. Cooperation with leading european research centers in Optics & Photonics for M.Sc. Program and a Ph.D. Program. OSKar won the OSA excellence award for small student chapters, endowed with 1.000 $. The KSOP Ph.D. 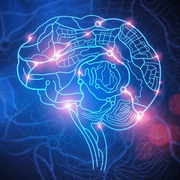 Program follows an unique interdisciplinary approach. Apply now for the unique MSc Program in Optics & Photonics!